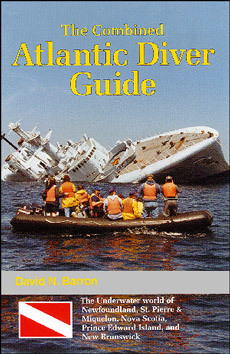 The 432-page Combined Atlantic Diver Guide details one of North America's best kept secrets.... the almost untouched shipwreck diving waters of Atlantic Canada. This guide features 207 of the best dive sites around the Atlantic provinces. 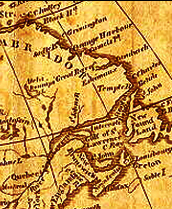 Since the Vikings found North America over 1,000 years ago, the waters of Atlantic Canada have claimed more than 30,000 vessels of which only a small portion have been located. In Newfoundland, dive the four intact and upright 400-foot long armed iron-ore carriers torpedoed off Bell Island, the 200-foot wall dive in Gros Morne National Park, or the culture and shipwrecks of the French islands of St. Pierre and Miquelon located 20 miles off the coast. In Nova Scotia, dive in the historic waters off Fortress Louisbourg, Cape Breton Island, where many French Man-O-War were lost during British siege of 1758.... or the numerous wrecks, both new and old, near the entrance of Halifax Harbour and along the southern shore, and the almost unlimited variety of marine life along the province's steep, rocky shoreline. In Prince Edward Island, take a dip in some of the warmest waters north of Virginia, the magnificent sandy beaches, rocky reefs, wrecks including a German U-boat, plus an environment rich in marine life. In New Brunswick, experience the Bay of Fundy's 45-foot tides, a slack-water marine-life dive in the world's second largest whirlpool effect off Deer Island, plus the warm waters and beaches of the Northern and Eastern shore. With this guide, divers can explore historic wrecks and interact with the diverse range of colorful marine life ranging from fascinating sea cucumbers to playful seals, and tasty scallops to enormous whales. Each dive site includes a full page of text with a chart or map on the facing page. Originally published in 1988 as a separate volume for each of the four Atlantic provinces, the 1999 edition combines all four volumes. Check local dive shops and book stores (new and used) for one of the last available copies.